Time for another Warsore interview taken from my personal archive. Classic australian grindcore from the 90s. Probably my fave in this genre. This one is taken from Ironia'zine #6 outta spain from 1998. Answers by guitarist Paul. 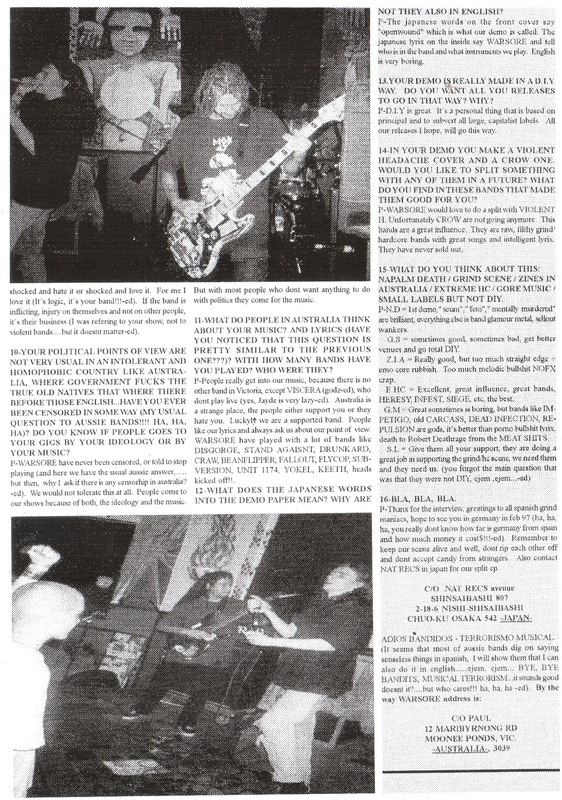 My old band was interviewed in the same issue. Layout is a bit blurry but that's how computerized layout from the late 90s zines look like! Anyhow, still readable and very informative. RIP Erik & Mark.